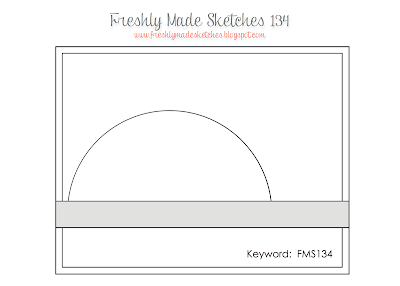 It's Freshly Made Sketches day! 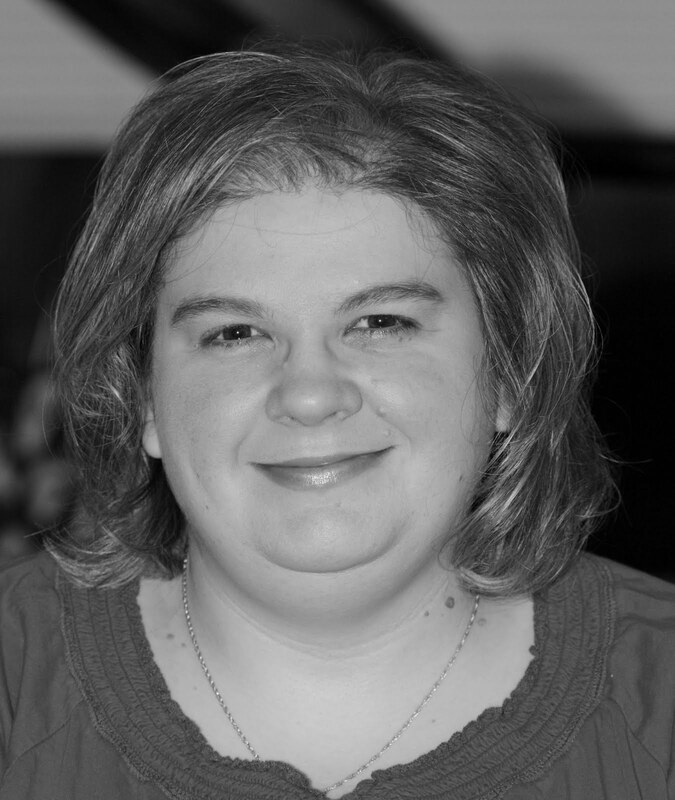 Karren is our hostess and sketch creator this week and I love the sketch she challenged us with. I seem to have lost a stamp set in my super messy room, so I didn't get to make the card I originally wanted to do. I did need more teacher cards for my vendor event this weekend, so I decided to change it up and go that route instead. I'm not sure I love the result, but after the day I had yesterday, I'm happy to have made one at all. Isn't that a fabulous sketch? Maybe I'll find my missing set soon and complete my original idea. It's half done now and taking up space on my desk. Laila got to dye an egg at my mom's for Easter. Well, kinda. She managed to put one egg in before she dumped the cup out everywhere. She had blue legs for a while. :) My little Smurf. Hopefully we have better luck next year. Perfect teacher card with that background and stars! And your your little Smurfette is adorable! Wow, what a great teacher card! I love the embossed background and the little sequins! I love this card Rita - it works on so many levels! The sequins are a nice touch too. Looking forward to seeing what else you create if you find that missing stamp set! I sure love the results!! Awesome colors!! I love the embossing and the sequins!! Love your card...and the bright colors! Any teacher would love to receive it.... Poor Laila...but at least she tried! Rita, this is such a fabulous card! 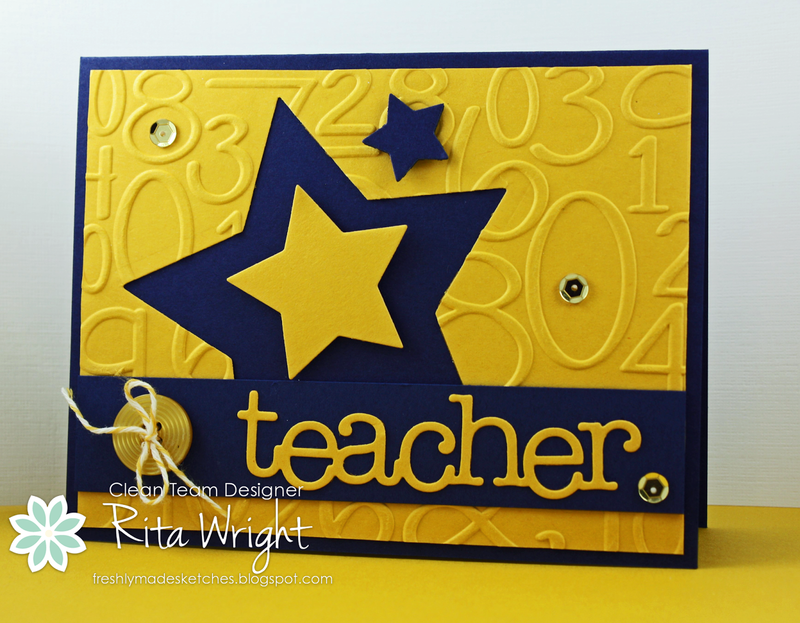 The embossing is a perfect complement to this teacher's card. Love the colors and the stars, too! Fab teacher card, Rita! The negative die cut star is a fantastic touch. So cool! I love the colours you've used and the stars are just fab Rita! Great card Rita! Love the stars! Definitely the perfect card for a teacher! Love the bright colours as well! Laila is so cute! I'm sure she was an adorable smurfette! Hope the vendor event went well!!! WOW,you really can showcase embossing like no body's business, inspiring!